It's nearly Christmas - and I've linked up with some other awesome bloggers for a MASSIVE giveaway!! You don't want to miss this one! PLUS all three winners will receive the resources that have been donated! Go on - check it out! So anyway, just before lunch I heard a knock on my classroom door and one of the 5 year olds in the class over the other side of the school had come to tell me some extra exciting news! He was on a silver card!! Ok so a bit of background - we have one of those flip card systems where by you start every day on a green card, and then change your card every time you break a rule etc. Each colour has a consequence ... Green cards down are consistent across the school, but different teachers use the silver and gold cards in different ways. The last time this young man had come to see me he was on a time out in a different class - a pretty serious consequence. He was supposed to stay with me for about 15ish minutes (being that he is only 5), but I kept him for the whole afternoon to give his teacher a break. While he was with me that first time I showed him my frixion colour pens. You know, those oh so totally awesome ones that rub out! You can get them from Amazon - check them out here. So back to the story - I showed him these pens and made a deal with him. Next time his teacher thought he was awesome, he could come and play with the pens. Oh man he was funny!! First he drew me a house. Then he rubbed it out. Then he drew it again, put Christmas decorations on it, and drew a child. Here is the conversation we had. Him - I draw a house for you! Me - It's a cool looking house too! Thanks! What's that on the top? Him - Don't you know? A star durh! Me - Oh right! Of course it is. Are those decorations? Him - Yes, it's Christmas! Me - Who is that? Him - It's your son. Me - I don't have a son though. Him - Oh that's sad! I gave you one though. Him - no, it's just your son. Me - Um ok? What's his name? Me - My boy's name is Boy. Ok it's a deal! haha kids are weird! I've just had my future told by a 5 year old (never mind that "my kid" was at home alone on Christmas!!) PS - I like that my "son" and the sun are both green! This kid obviously knows my favourite colour. As I write this, and procrastinate from my now overdue reports, it is OFFICIALLY 22 days until Summer!! Oh my word that is exciting. But did you know that the news gets more exciting than that? That countdown includes weekends!! So really, we are 16 1/2 days away from enjoying these long hot days. Lots of BBQ's, dinner by the lake, river floats, oh it's just heaven! But I can't get ahead of myself! Before that happens, I have a few things left to do. Finish these reports. I've put them off long enough! I had an unexpected extension on them because Mrs Z was away sick on Friday. If she's not there I can't hand them in can I? hehe, so I have to get them done today. If only they could be done by hand - I'd take them to the beach and do them in the sunshine. 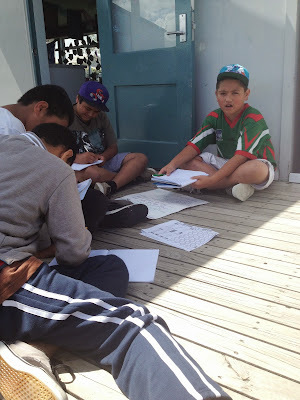 Move classroom. Oh this is exciting news! This year we had to try and team teach in two different classrooms. NOT FUN I tells ya! So because we did such a good job (well that's what I'm telling myself anyway) we are being moved into two classrooms that have a door between them. And they're bigger! SOOOO excited. That move is either happening this week, or next. I can't wait!! 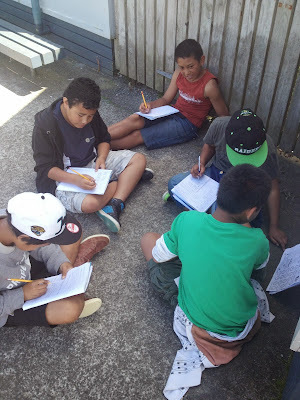 I still have a whole lot of learning to do with these kids! They are not ready to go off to intermediate! (At my school, most of our kids will stay here. We go right up to year 8 (grade 7). Maybe it's just me that's not ready to say goodbye? Monday - Mrs Z is doing a really neat project with our kids, where they are making a pencil case out of some old jeans. They are learning some sewing techniques, and decorating them too. Project runway - pencilcases by 11year olds edition!! Tuesday - First tee again! I love when Coach Kevin comes in, he is really good with these kids, and they are learning so much! Wednesday/Thursday - More learning. Oh gosh the week is going to go by so quickly!! Friday - firstly, I have to send the year book off to the printers today... Not sure if that's going to happen on time! Secondly - We're going to spend the day at the pools! I am so excited for this!!! Right, so that's a little sneaky peek at what is going on in the E-Z Class this week - head on over to Mrs Laffin's Laughings to see what everyone else has in store. And while you're there, check out her giveaway! I don't really want to share this, because I want to win! But you could win some of her Reading Genre Brag Tags by checking out her post!! OOO but I hope you don't, because I want to win! I have sat here for a while trying to think of a clever way to write this blog post. But I'm tired, the weather is hot, and really I'm just wanting to show y'all some photos! I'm all about getting kids experimenting with different media - and I often let them have "free art" time on a Friday afternoon. That's the plan for today! On Wednesday this week two awesome things happened. We FINALLY finished our recycled mural. The whole school went on a tour of the other classes looking at the art we have done this year. And so here are the photos I promised - I hope you enjoy!!! 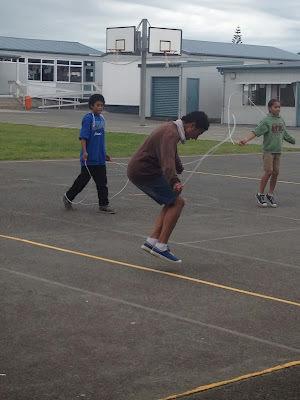 For those who are in any country other than New Zealand - take off one to get what grade the kids were. EG year 4 = grade 3, year 8 = grade 7 etc. This is a TERRIBLE photo - but it is of our completed mural (except for the nails!). Each section represents one of our teams here at school. WOW this week is jam packed! Here in New Zealand, it's now Monday night. YES!! I love that I am officially done with that day! We jammed an awful lot of learning into the day though, and enjoyed an awesome performance by our school's Kapa Haka group. For those of you from outside of New Zealand (which is most of you I know) Kapa haka is a performance group from the Maori culture. They have dances, singing, haka, and other things as part of a performance. Our group is made up of about 60 kids aged between 5-13 who all sang beautifully this afternoon!! Here is a video of our boys - The All Blacks - doing the haka before the Rugby World Cup final in 2011. Any way that's enough about that! Tomorrow I'm taking 45 kids to an athletics tournament all day! Must remember sunblock! I forgot to go and get some sunglasses after school today, so I will have to stop by the petrol station on my way to school in the morning, and HOPE that there is something at least a little bit cute! Wednesday - we have a classroom art tour! Oh I'm so not ready for it! Our art project is taking FOREVER!!! But we should be done hopefully! Thursday - I think I may get a little bit of teaching done this day! Friday - Well a Friday is a Friday, so who is counting!! Friday night - our union (NZEI) is having a graduation ceremony/event for all the beginning teachers who are graduating and becoming fully registered teachers! We have two teachers at our school this year, so it will be an awesome night! Can't wait!! I'm going to go link this up with Mrs. Laffin's Laughings, and then write a couple more reports before bed! It MUST be the middle of term 4. Term 4 really has a way of taking a sledge hammer to your knees, and then laughing maniacally when you're doubled over in pain. Or exhaustion? Soooo close to having my reports done, and really I COULD do them today - but like I said, I'm doubled over in "pain". So I'm spending the day having some much neede R'n'R - maybe I'll get up soon? Probably not. I think I'll just spend the day in my bedroom, only leaving for important jobs - like getting some chocolate. I love that Erin over at Miss LifeSaver has a thankful linky going on this month - come on guys, head over there and link up would ya!! I said I'd be a little bit less serious this week, so here you go. I'm thankful for Frozen coke. I SOOOO know that this is NOT something that I should be consuming - but sometimes when the weather is hot, and you're sleepy tired, a frozen hit of sugar is just what the (soon to be fired due to malpractice suits) doctor ordered. I'm thankful for sporty kids! This coming Tuesday I'm out of the classroom heading to an Athletics tournament with 45 of my year 4-6 kids (g3-5). I love that they are so sporty, and that I can take a break from all the paper work that gets piled up this time of the year! I'm thankful for chickens. Okay - so strange call?? Yeah maybe, but I love eating chicken, and I love egg. So I'm thankful for chickens. I'm thankful for my awesome friends, and work mates, who dropped what they were doing earlier this week and prayed when I asked. I'm thankful for my new church. I love that after 3 years in this city I've FINALLY found a home. One of the best things about team teaching, is being able to share the load when things get hard. I can now share why we are no longer the E-Z Class - and why I'm heading off on this blogging adventure as "Learning to be Awesome." Mrs Z - one of the most amazing teachers has landed an awesome new job at a different school. I am so not looking forward to losing her next year! She has been so great to team teach with, and I have learnt SOOOO much from her. I am 90% sure that I will still be team teaching next year, the scary thing is though that we don't know who that teacher is!! Hopefully within the next two weeks we will find out. ANY way, this week we have taken turns to have all the kids so the other one can have some release to start packing (or in my case get some head road in on those jolly reports. I wonder how many of my parents will actually read them??). This one is kinda related to no.2. The weather has been AMAZING this past week. Which has made life easier having 50 kids in a tiny room. 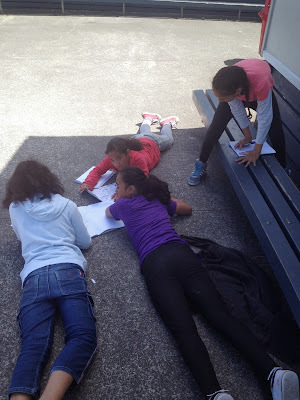 I've let the kids work outside on their learning tasks, which has been super fun. This Tuesday our team went off the golf range and had the trip part of our First Tee experience. I appear to have forgotten to take photos of the kids actually playing golf however. While we were there, the rest of the school was involved in Jump Rope for Heart - a skipping based fundraiser for the Heart Foundation. We arrived back just in time to see everyone showing off their sweet skills with the rope. This group of amazing kids are the most patient in the WHOLE world I am sure!! About 2 months ago they won a pizza party as their reward for begin the best learning group in term 3. Turns out it's hard to make it literally across the road to get pizza!! And they didn't complain once the whole time they were waiting!! Love it! Right I've done enough work now for one weekend! I'm going to go and get something to eat and then maybe catch up on "Hart of Dixie." I'm pretty sure I was born in the wrong country - any one wanna swap? 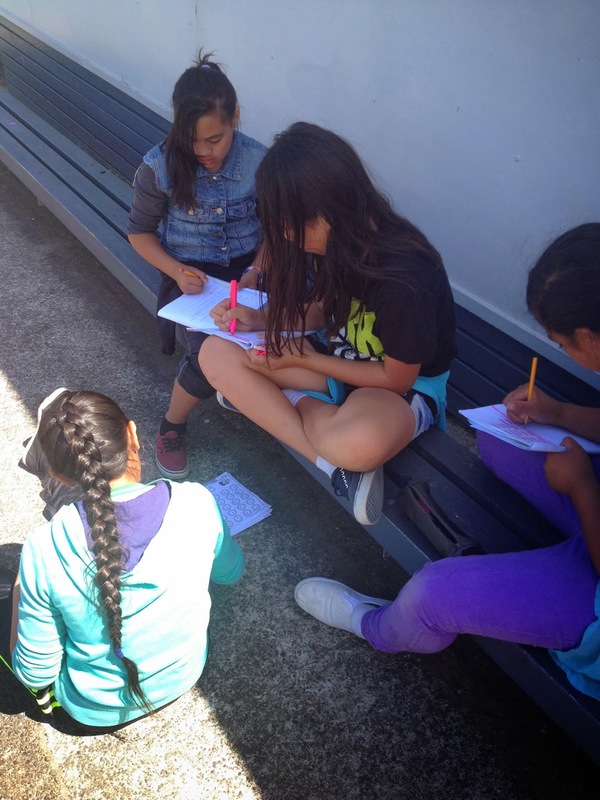 Here in the E-Z Class (soon to be known as Learning to be Awesome), we have just had an amazing student teacher - Whaea Aimee. She was really awesome, and only a first year!! I was thinking about student teachers and how they get training for this pretty mammoth job we all have, and it got me thinking about my own experience as a student. Here in New Zealand there are two different ways you could be trained. You could do a bachelors degree in just about anything, and then complete a 1 year graduate diploma of teaching. This is pretty much the only way to go if you are teaching high school (with the exception I think of P.E. teaching). You go to Teacher's college (normally with no other qualifications other than what you gained at high school) and complete a three year bachelors degree. (There are some courses that are four years here, but you usually gain a graduate diploma too as part of this course). I was in the second - and more common - group. I spend three years learning about becoming a teacher, and had 5 different placements in 5 different schools over those three years. I was 18 when I had my first classroom experience - talk about nerve-racking!! 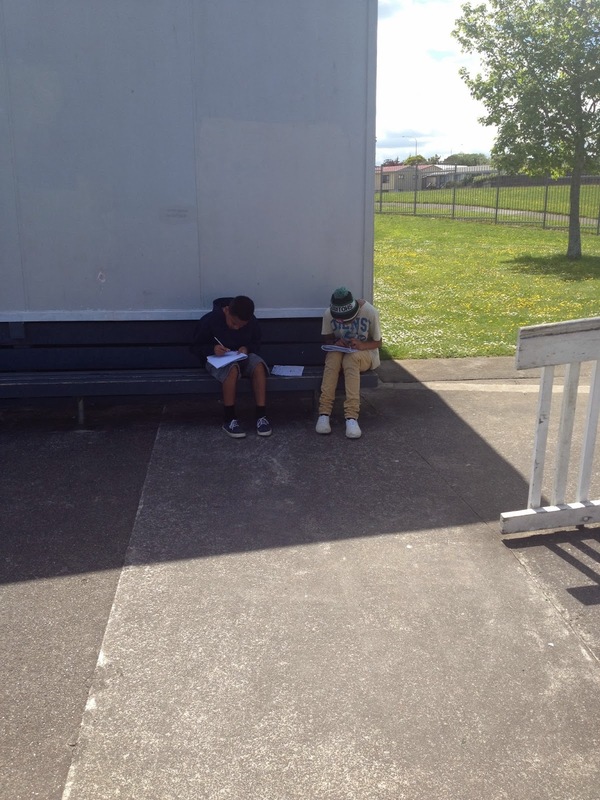 3 weeks in a year 2 class (grade 1) - observation and reading books to the kids only - with another student teacher. 8 weeks (split into 2 four week stints) in a NE/Y1 class (PreK/K - 5 year olds) - 4 weeks full control over the two blocks. 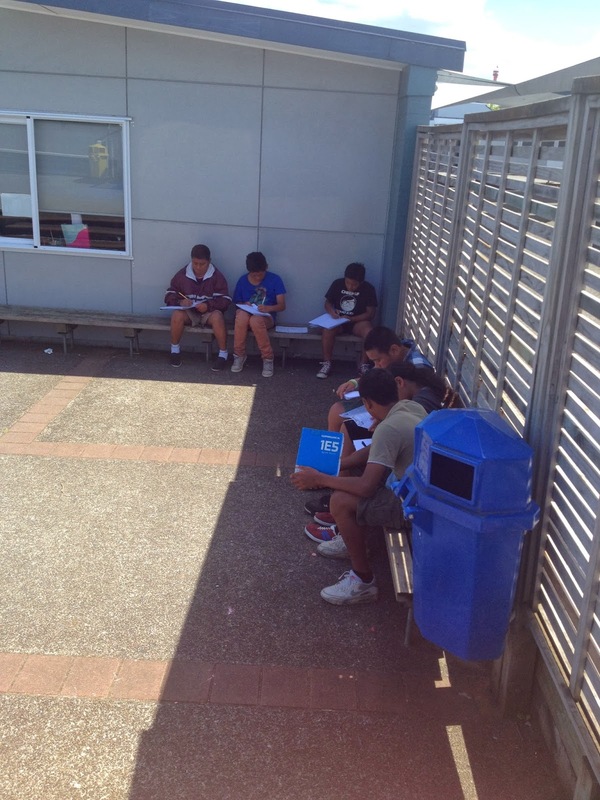 I felt completely unprepared for my first class - which ended up being year 8's!! (grade 7). I had collected all these resources for a junior class and then ended up teaching at a high school for my first two years!! Talk about crazy. I was 21 when I had my first class all to myself - all the time! How does your training compare to what I had here in New Zealand? Leave me a message - I'd love to know!! Congratulations. I will be in touch soon to send you your prize!! I have to say I'm not a fan of technology - when it doesn't do what I want. I think I have figured it all out now though!! So as I said in an earlier post - The E-Z Class is going through some MASSIVE changes. 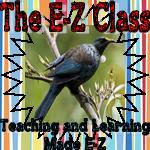 We wont be The E-Z Class much longer, and I wanted to get a blog makeover - but needed to change the name first! Oh gosh so many crazy things that needed to be done. And when I was doing it all everything was redirecting, and now all my linkups are dead :( Sad times. I'm just going to resign myself to that fact and keep pushing forward with it! SOOOO as of now we are in transition. We are going to be called "Learning to be Awesome!" Which meant that I changed my URL - making everything dead. If you've been trying to read my posts on Bloglovin and they haven't worked, I'm really sorry - and hope you'll stick around. I can't tell you YET why we aren't The E-Z Class anymore (well we will be until this makeover happens, ooooo I'm excited!! ), but rest assured, that it's going to mean bigger and better things (albeit a bit sad for me to start off with). As soon as I can I will - I promise!! I never expected that I would love blogging as much as I do! It's kinda crazy - but it's like having a group of friends all over the world to share life as a teacher with - I LOVE IT! Thanks so much to all of y'all for sticking it out with me - I will go through the links that are important and share a new link so that you can still see what's going on there. Hopefully nothing else gets lost in the move! Hmmm I think I may have to set up a new email address too - I don't think I will ever change the name of my blog again!! At least "Learning to be Awesome" is something that isn't attached to a particular school/teaching situation I'm in. Right! I'm off to school to do some reports/planning :( I hate this time of year!!! Only two weeks til they are due though and then life will be all about Christmas! Seriously I sing that song EVERY week. No exaggeration... I think I need help. Of course there is Doodle Bugs 5 for Friday linky, which I love because it's on a Friday, and that means I can sleep in tomorrow! AND THEN there is this SUPER awesome linky that Erin (cool name BTW!!) (hehe) at Miss Lifesaver is hosting this puhriitty (extend it, pretend you're a kiwi, the word is pretty) awesome linky all about being thankful! I'm a thankful kinda person so I'm gonna linky on up! Head over to her blog and check it out for realsies. Ok but first I need some tea, I'll be back... Hmmm y'all should see me - I'm hilarious tonight! All the accents and everything! Go Arnie. Okay, firstly I wanna talk about 5 things that I'm thankful for this week. 1. My family. Pretty much couldn't ask for a greater bunch of crazies to call my own. The way we all just rally around and keep each other up! Love it, love them! 2. My friends! They're pretty much epic! I do have room though, so if you wanna be my friend just holla! haha - seriously I'm nearly delirious I think! 3. My job. I have been so grumpy with my kids this week - they are pushing the boundaries but you've still gotta love them!! We spent all day Wednesday in the computer suite (through random circumstances, which turned out great so that I could work on the year book) and seriously I would go stir crazy if I had to sit down, in front of a computer all week! One day and I was about ready to throw the computer against a wall!! I love that my job lets me walk around, or sit down if I want. I can go outside and play a game of tag with my kids if we feel like we need some fresh air. Life as a teacher in New Zealand isn't half bad. 4. My economic standing. I'm a teacher - I'm not rich, nor will I ever be (unless...). But at the same time I don't want for anything. I have a pretty sweet deal on life, and I'm so incredibly grateful for that. 5. This Tumblr here. No matter how crappy my day is, knowing that I have an odd compliment waiting for me when I get home is reason enough to keep going. Check it out - you can thank me later. Okay so that is what I'm thankful for this week - I think it looks like Erin's gonna do this each week, so next week I'll be a little less serious... hehehe just you wait! And now I'll just post a few photos of our week to show you what we've been up to! Terrible photo - BUT this week we celebrated Indian culture because of Diwali. Mrs Z and I got dressed up in Sari's that Mrs Z's student teacher Amy (on the left) and another student teacher brought in for us! So much fun. We're finally attaching our milk bottle tops to the board. The E-Z Class is a noisy place at the moment with all that banging!! I hate technology... The Year Book is taking ages to proof! Okay so I thought I had more photos - turns out I didn't but that's ok! I will take more next week for ya'll!! But I will leave you with this gem. My deputy principal knows me so well - she sent me this pic via facey this morning. Love it! It does remind me there are BIG changes happening in the E-Z Class. To the extent that as of the end of this year we wont be the E-Z Class any more! :( I can't tell you everything just yet, but know that there are some exciting things in the works! We are going to be known as "Learning to be Awesome" as of January (or earlier depending on a few things), and our class is going to become "The Awesome Class". Well they do have an awesome teacher, so hey it's only natural that they would become awesome too! With practice of course!! Remember to check out those two blogs, leave some love, and follow along too!! And get your entries in to the giveaway we've got going on currently - all about celebrating some milestones. Student teachers - and a winner! Well that was a strange turn of events! 100th post!! There's a giveaway at the end! !